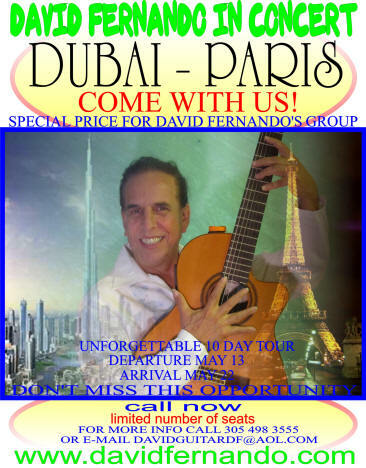 DAVID FERNANDO has created his own style of music called "Rumba Latin Jazz". Performing with his dancers and live band, he has participated in different festivals and private events around the world. 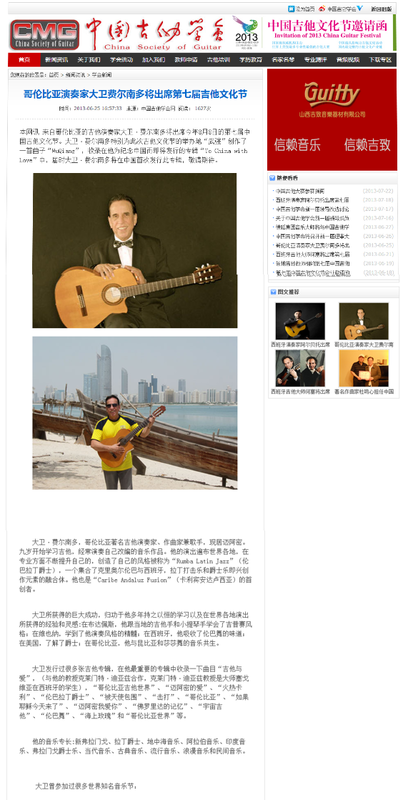 • National Guitar Competition, China, 2014. Invited as a Judge for the second consecutive year.